Conan, What is Best on iPad? God of Blades’ Endless Slashing Comes Pretty Close. I loved Conan comics as a kid. Every swordfight the Cimmerian had with another warrior ratcheted up an incredible amount of tension in my teenage heart. It's not that I ever thought about Conan losing. Rather, it was the idea that so much depended on the steel and sinews of Robert E. Howard's famous barbarian. Whole civilizations would crumble if Conan was found to be lacking in mettle. The main character in God of Blades doesn't talk, but the iOS game delivers that same sense of epic urgency. 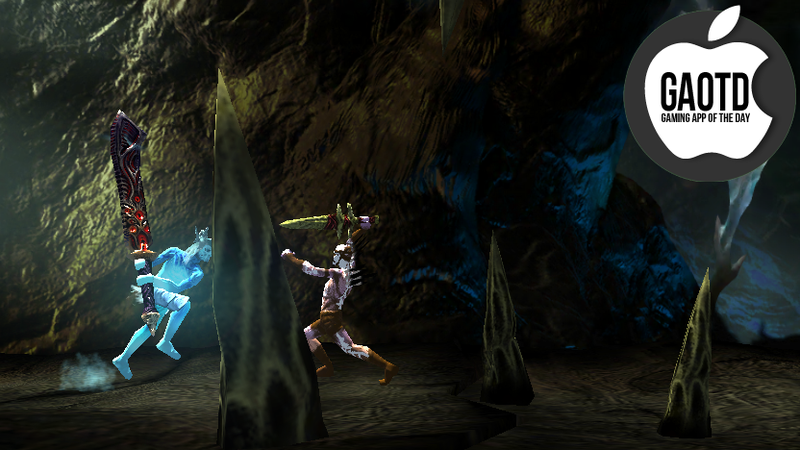 White Whale Games' action title mashes together the automatic movement of a Canabalt-style infinite runner with the swipe-and-tap combat of games like Infinity Blade. It may sound like such a pairing wouldn't add up to anything special, but it does here. The Nameless King—a dead monarch re-awakened by cosmic entities—automatically advances from left to right towards a procession of enemies. Four simple moves—upward, downward and sideways slashes, along with a parry—are all you have to beat back the hordes trying to destroy you. A parry will hold back the player character's steps a bit while a spinning swing will preserve his momentum. There's a surprising amount of strategy to be found in pacing the rhythm of your attacks and you definitely can't spam your way through victory. God of Blades oozes style from every pixel, too. Both the psychedelic backdrops and trippy soundtrack could be ripped from those prog-rock albums that Fahey loves so much. And the ominous tone of pulp fantasy is lovingly recreated in the text and fake soft book cover images peppered through the game. I wasn't sure God of Blades was going to hit my sweet spot when I first heard about it, but it cuts its way to a clever hybridization that kept me coming back for more.